The site is located 26 miles east of Brawley, California. 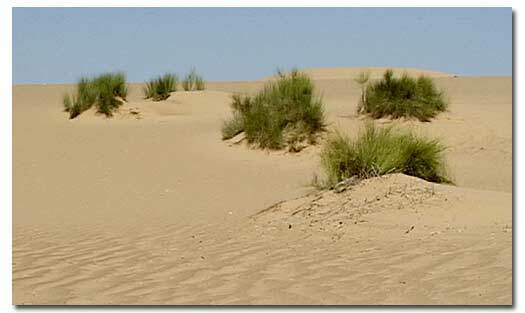 The Algodones Sand Dune system covers 200 square miles, making it one of the largest dune complexes in North America. The dunes are interrupted in places by basins of flats, which support mesquite, smoke tree, ironwood, palo verde and desert willow trees. The flat-tailed horned lizard, desert tortoise and Colorado desert fringe-toed lizard have all been spotted in the region. The 32,000-acre North Algodones Wilderness Area provides ample opportunities for solitude and primitive recreation. From Brawley, take Highway 78 east approximately 26 miles. The wilderness lies along the north side of the highway. Hunting, hiking, and nature viewing. There are no fees to enter the site. No commercial uses are allowed. No use of motorized vehicles of any kind (off-road vehicles, motorcycles, bicycles, hang gliders, motorized equipment, or motorboats) is allowed. No facilities are available. Camping and Lodging Facilities: Primitive camping is available. There are no developed sites. Developed campgrounds are available along Gecko Road, directly south of the wilderness area and Highway 78 in the designated OHV area. These campgrounds offer restrooms and flat pads, but do not have water. Lodging is available in Brawley. Food and Supplies: Food, gas and supplies are available at the Glamis store located on the south side of Highway 78, on the eastern edge of the dunes. Cahuilla Ranger station is open on weekends from October through April. The nearest hospital is located in Brawley. The area is open year-round. The best time to visit is from fall through spring. Summer is extremely hot, with temperatures over 120° F during the day, and 100° F at night, so be sure to bring water. Visitors should be aware that the sand limits mobility. This area is a designated Watchable Wildlife site.